Bhagwat Group has a dedicated project department which offers innovative ideas and technical engineering services right from initial guidance to total project management and heavy lift transportation. 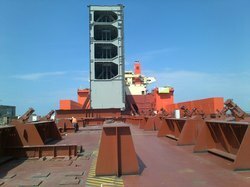 Out-gauge, odd dimensional or project cargo, we have dedicated and experienced team who manoeuvre it from the port of loading to the port of discharge with adequate care. 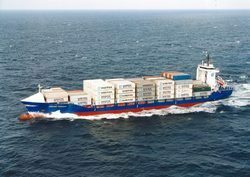 Rosan is specialized in handling project cargo on break bulk vessels & special containers like flat rack containers, open top containers etc. Offering special services for the shipping odd dimensional machinery for various projects. - including loading, unloading, storage, road survey, insurance and custom clearance. - The most important point in logistic service is that the delivery time should meet your project schedule. QGCL offers complete handling of Project Cargo. We offer our apt expertise in the planning, management and completion of complex industrial logistics projects. This includes not only machinery and equipment used in the oil and gas industries but also jet engines and complete factory relocations. ASPL you are building a manufacturing plant, mining or drilling the earth, you will need to procure logistics transportation service to manage your cargo movement. The services include freight management, cargo handling and cargo moving from origin to your final site location. In order to keep pace with never ending demands of customers our company provides Project Cargo Service. We navigate our clients the right way for all the special and unique size cargo. Furthermore, to attain the maximum satisfaction the customers, we provide this service at most affordable price. In a rapidly growing region, mega-projects such as new mass public transport systems, Textile Machinery, Earth Moving Equipments or Port Developments require the movement of large industrial machinery and equipment. Being one of the renowned organizations, we are engaged in providing Project Cargo Handling Service to our customers. We have a well equipped and specialized team to handle any type of project cargoes. We provide to our clients creative solutions and the fastest possible response for their inquiries.